Michelangelo: Wise man say, forgiveness is divine, but never pay full price for late pizza. 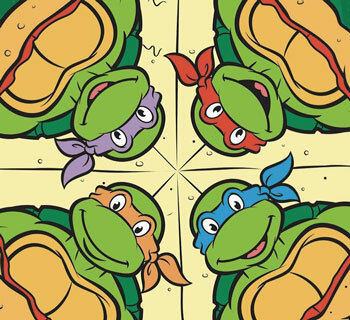 Before we get to the Four-Cheese for Four Bros Pizza recipe, can we take a second to appreciate just how awesome the original cartoon TMNT theme is? Not only does it do everything a kids’ show opening is supposed to do (introduces the characters, explains the basic plot), but it’s also so damn upbeat that it was impossible not to get excited about the episode that followed it when it aired back in the ‘80s and ‘90s. And considering the relative quality of the actual episodes, it’s obvious that about half of the production budget for the series was spent on the minute-long theme. But I guess that was the point. But still, wow! In 2017, Insight Editions released the Teenage Mutant Ninja Turtles Pizza Cookbook, a full-length publication devoted almost entirely to pizza. 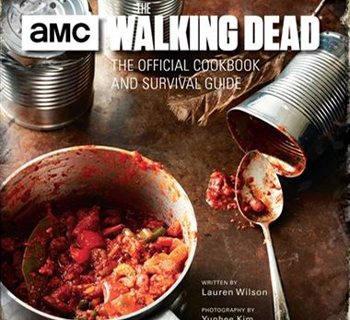 At first glance, it might seem that a book like this might simply be a novelty, without much culinary merit. But as I wade through it, it’s apparent that a lot of thought was put into it. And the selections I’ve tried have all turned out to be pretty tasty as well. There’s no reason to buy a pre-made pizza shell when this quick recipe is handy! Rub the inside of a large, clean bowl liberally with olive oil. Place the dough ball in the oiled bowl and turn it to coat the entire ball in oil. Cover the bowl with plastic wrap and let the dough rise in a warm place for 45 minutes to 1 hour. (It should double in size.) Note: I let the oven heat up to about 105 degrees Fahrenheit before turning it off and sliding the dough inside to rise. After the dough has finished rising, punch it down, divide it into two equal pieces, and shape each piece into a ball. Note: I used all of the dough for one large pizza crust instead of dividing it into two. Cover the dough with a damp kitchen towel and let it rest for at least 10 minutes or up to 1 hour. Roll or stretch out the dough on a pizza pan or stone. Note: I spread a little bit of olive oil and some corn meal on my pizza stone beforehand to give the bottom of the pizza a little extra flavor and texture. Rating: I didn’t know what to expect from this pizza dough, but it turned out to be just fantastic. It’s a thick but fluffy crust when baked with a lot of flavor to it. If you like thick crust, this is a 10/10 every time. It’s the best pizza crust I’ve ever made. Note: The following ingredients are for one 12-inch pizza, or half of the above dough. If you use all of the dough to make one large pizza, as I did, you should DOUBLE the ingredients below. Preheat the oven to 500 degrees Fahrenheit. In a small bowl, stir together the olive oil and garlic. Set aside to marinate for 15 minutes. Stretch or roll the dough into a 12-inch disk and place it on the pizza stone or pan. Brush the dough all over with some of the garlic oil, making sure to get it all the way to the edges. Season with salt and pepper, scatter on the mozzarella and jack cheeses, dot all over with ricotta, and sprinkle the Parmesan over the top. 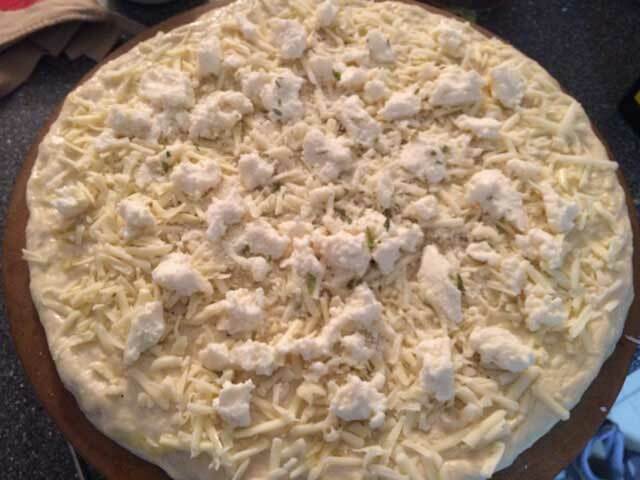 Bake the pizza for 8 to 15 minutes until the crust is golden brown and the cheese is beginning to blister in spots. With a few minutes remaining, sprinkle the pizza with the parsley. Remove the pizza from the oven. Let it cool for 5 minutes before slicing and serving. Rating: This pizza was blessed by the turtle gods, because it was nothing short of incredible. The crust, oil, and cheeses were all in perfect proportions. 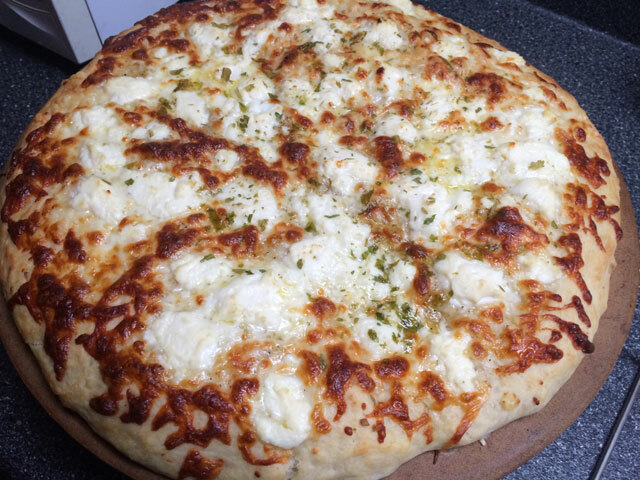 I didn’t have great expectations, so I was pleasantly surprised that this pizza turned out to be so delicious. Try this pizza. TRY THIS PIZZA. It’s a 10/10 for me. TMNT creators Kevin Eastman and Peter Laird sold their stake in the property to Nickelodeon a few years back, and the corporate backing has played a big part in the turtle’s resurgence in the popular zeitgeist. Eastman is still involved with the comic book as it’s published today, in conjunction with Nickelodeon, by IDW. 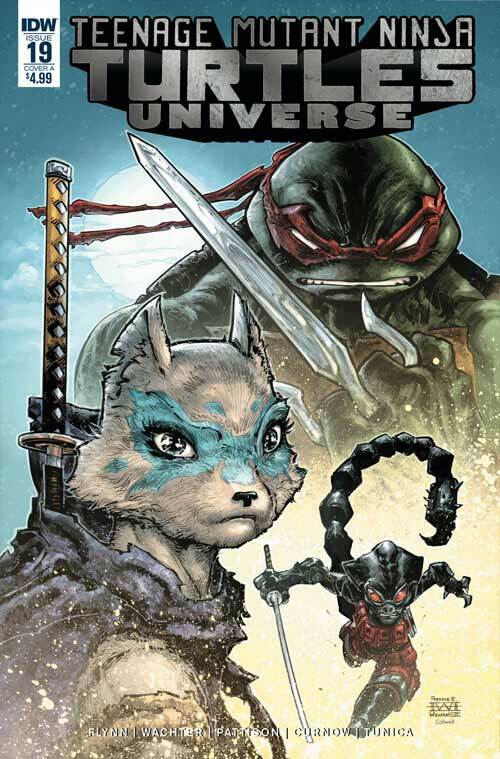 IDW has done its best to streamline the TMNT, combining elements of the original comic, cartoons, movies and other iterations in its current line. TMNT Universe serves as a sister title to the main series. As such, much of what happens in its pages serves as backstory or setup to what is going on in the main title. Because of this, the Universe series has something of a looser overall feel, but it still makes for some enjoyable stories. This particular issue features artwork from Pittsburgh-area Dave Wachter, which, for me, is always a plus. The series consistently has two stories in each issue, a main feature and a four-page backup story that continues from one issue to the next. The series started with a lineup that included luminaries Kevin Eastman and Bill Sinkiewicz. Although the creators aren’t currently quite as noteworthy, it’s still a book that I pick up every month and continue to enjoy. Some people think the Street Sharks are just a knockoff of TMNT. To them I say: yeah, probably. Well then you can just call the Extreme Dinosaurs to kick those naysayers butts. In all seriousness though I’m happy you got that reference. As not many people do.